It is not an easy task to create a relevant, contemporary and attractive user interface for an application. Uniqueness is not the most important factor rather relevance of the design and content is when designing an app. Thus, designers need to consider several factors to understand the clients’ requirements and follow a detailed process before designing an app. It is crucial for a designer to have an out-of-the-box thinking, conceptualization, and creativity for creating websites that speaks volumes. A balanced existence of these factors helps a web designer create applications capable of delivering clear interface and make way for pleasant user-experience. It is not enough to determine that all the processes performed according to the known scenarios. It is equally essential for an app designer to follow the UI and UX guidelines. To increase your site’s viewership, you can optimize the mobile call-to-action (CTA) buttons. The first step in designing an application is to learn about clients’ requirements. With this understanding, a designer can create applications that match clients’ expectations. It is essential for a designer to divide the entire process into multiple steps for proper execution of a plan. The number of steps may differ from one business to another; however, there are some common steps. Analysis and Specifications form the first two steps. They are the most vital steps, as it is impossible to determine the project’s structure without these steps. Designing, Development, Assessment, Delivery, and Maintenance follow the Specifications one after another in this order. 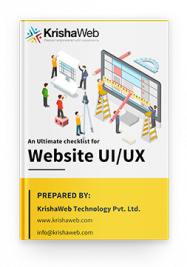 KrishaWeb designers follow these seven steps when developing user-friendly and unique applications. They also develop ‘Design Mockups’ and ‘Wireframes’ when creating the ‘Specifications’. They help designers define their preferences. They make it possible for the designers to create detailed designs with better features. These three factors can help developers understand what they are supposed to build. The businesses can even attract potential clients and investors with mockups, wireframes, and prototypes. At the beginning of any project, a designer collects a variety of information and it is vital to properly arrange these data. A designer may receive clarity after sketching an idea on the paper. A wireframe is a digital sketch of proposed layout content and functionality of an app. Wireframes are created for pages that have a buyer’s journey. Wireframing is done on the structural level and any changes required can be quickly done it before it rolls out in the implementation stage. Mockup design contains the brand-identity that involves colors, artwork, and icons. It is created after the completion of a wireframe. The creation of dynamic prototype finishes the designing process which ensures hi-fi representation. The designing process starts with the rough sketching of a design on a piece of paper. It may give a client an idea about the final appearance of an application. It even enables a designer to brainstorm different ideas, to modify the details and to assess all features before starting the entire process. The wireframe builds the basic structure of any design and it becomes the skeleton of an App. Once a designer determines the major elements of an application, the wireframe process starts. Wireframe plays a vital role in determining the performance of an App. 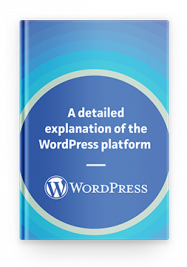 It determines the content’s layout, interconnections between an app’s pages and its functionality. It enables a designer to ‘map’ an application before moving ahead with the following stages. A visual illustration that wireframe provides defines an organized display of each component present on the webpage. It determines how the navigation element; website window or different buttons operate. An expert app-designer creates the specifications in conjunction with the wireframe. It prevents a designer from missing vital components. The wireframe also helps a client in estimating the potential of an app. That is what wireframe is meant for. If the wireframe gives skeleton to an app’s design, then the mockup design delivers the muscles, tissues, and skin. It brings dynamism to any design with the addition of fonts, colors, and images. The designer labels the notes, fields, font-types, navigation menu and a variety of other themes at this stage. The designers create this static page layout to test the final look of an App before launching it. It allows the clients to request final changes to an app’s design, as it is expensive and difficult to alter the design after the launching. The wireframe shows the basic layout and structure of an app. The mockup showcases an app’s final look. The prototype gives a taste of an app’s performance. The prototype shifts an app’s design from UI/User-Interface design to UX/User-Experience design. It helps users understand how the functionalities of an app work and how the users can interact with a designed interface. The prototype helps clients visualize the connection between different screens. It helps designers interact with their creations; however, it contains no backend support. They can explore the ‘User Interface’ and correctly point out the elements that work best along with the potential problems. The prototype gives the feeling of a real app and the clients may use this design to influence investors more effectively. An expert designer knows to value the clients’ demands and necessities. He/she puts together all the elements and details to create an interactive and user-friendly design. The uniqueness of a design depends upon the designer’s thought, inspiration, and vision. 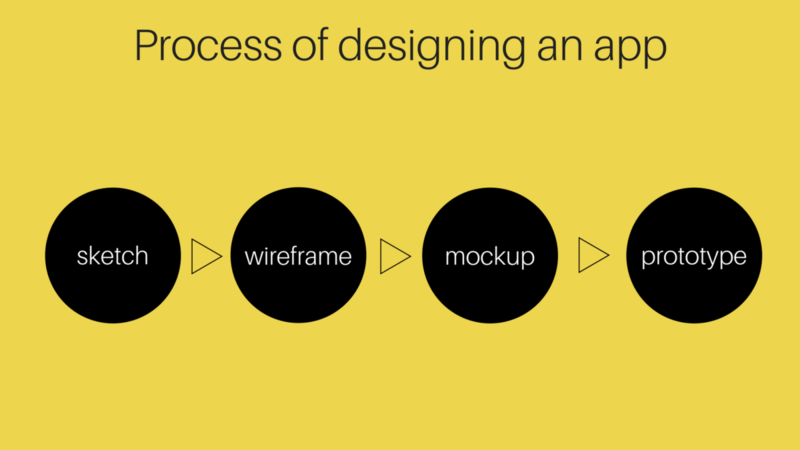 The steps of app-designing process enable a designer to give life to the designed apps. A designer can produce satisfactory results with a thorough understanding of all the steps. Have an app idea? Contact us and let’s make it together!